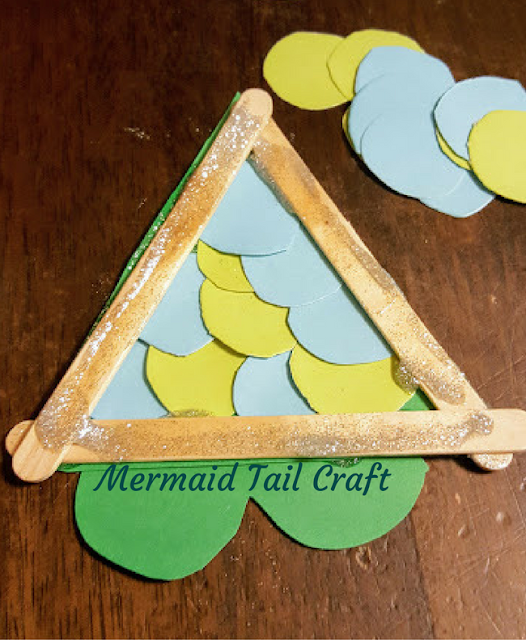 This easy mermaid craft requires basic supplies and creates a cute craft in under 5 minutes. Your mermaid fans will flip a fin for this easy craft! My 3 year old has recently discovered the Little Mermaid. Mermaids are a frequent topic of conversation, as are unicorns, kittens, and Minnie Mouse. I had an idea to make a fun little craft with Harper that would keep her day dreams flowing like the tide. We were thrilled with how cute it turned out and how easy it was to make. I loved this craft for my preschooler because it used her fine motor skills, she got to use her scissor skills and it involved glitter glue! Who doesn't like glitter glue!? 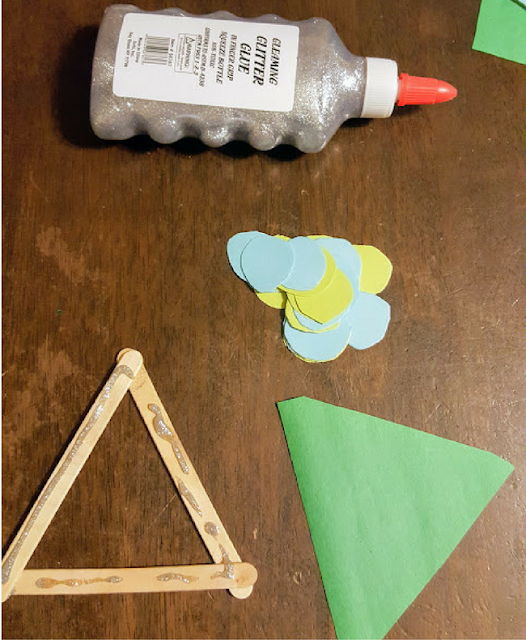 Glue the craft sticks into a triangle shape. 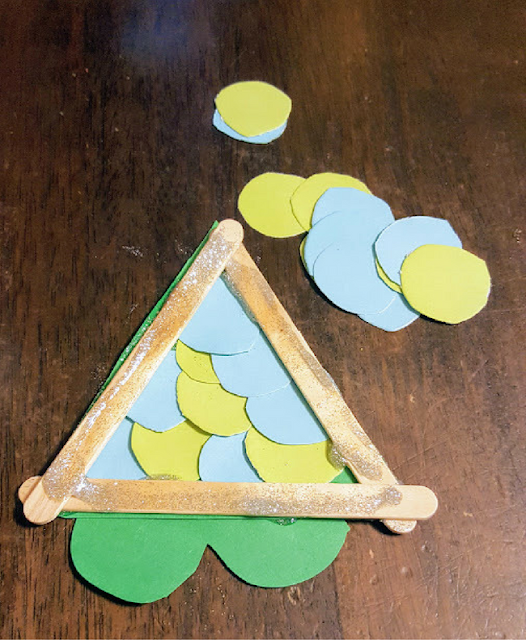 Glue the triangle shaped paper onto the craft sticks. Begin layering the circles of paper on the triangle to form the scales. Add the heart shaped paper with the point in. This was such an easy craft that was a lot of fun for my 3 year old! It was easy, but it offered a little challenge to her with the layering of the scales. You might also like this glitter rain drop craft. You can check out the Mermaid Tail video on youtube to see me make this craft. It's a very cute craft. My grandson is still a little too young for it, but one to keep in mind for next year. Super fun and the kids can pick their own colors and make it unique. We are always looking for things to keep busy in the summer! I love fun and colorful crafts like this! I used to love and do crafty things with my daughter when she was young. Have you seen those mermaid tails that you can wear while swimming? Those seem like a drowning hazard. I am paranoid enough about my kids being in water. This is adorable. I am going to send this to god daughter. Ahe loves mermaids. That's a cute and easy project for little ones. I have some nieces who would have fun making these. A few years ago we went to the beach and our kids were doing seashell crafts all summer. 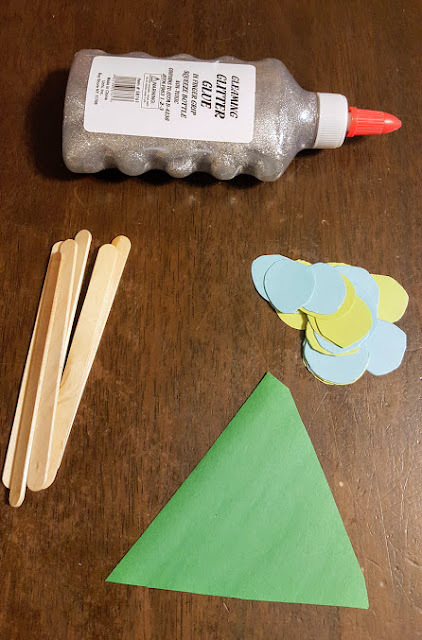 Easy enough for a group craft at a Little Mermaid birthday party! This is a really cute idea. Great way for little ones to have fun! Nice and easy with good motor skills workout.